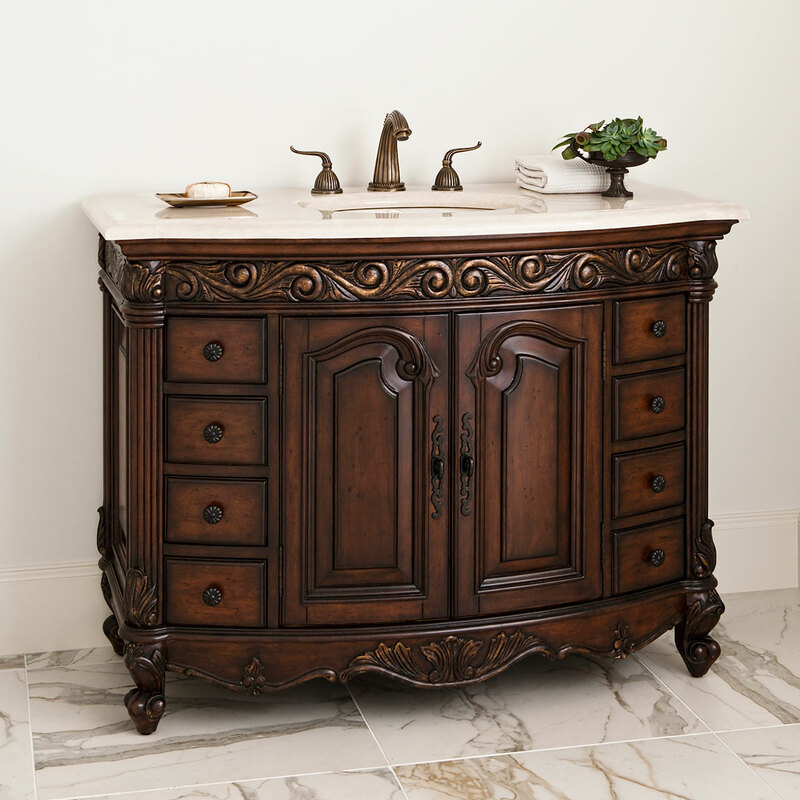 The 48" Provincial Dark Single Bathroom Vanity features a sturdy, reliable solid mahogany frame. Whether for the home or business, this medium vanity brings sophistication to any home or business. 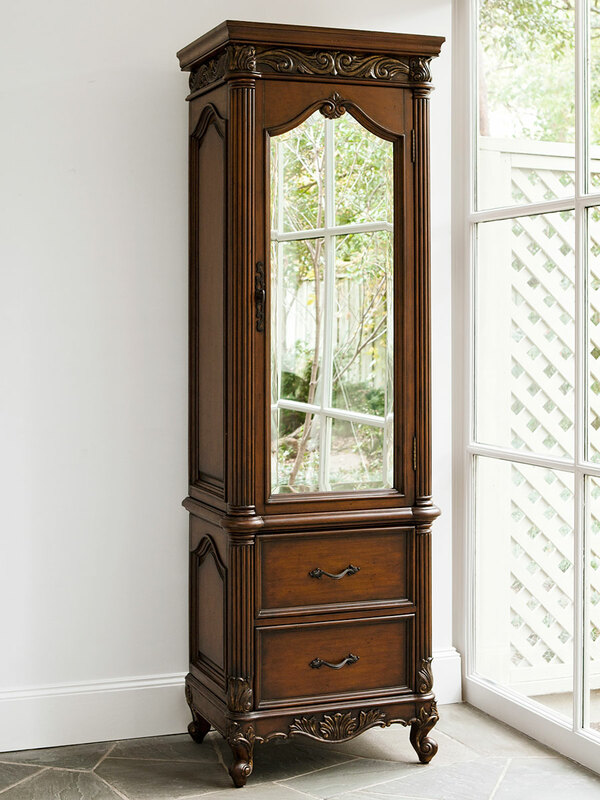 Inside its eight drawers and double door cabinet, you will find ample storage space. The Ivory Cream marble countertop provides a creamy contrast to the rich color of the cabinet. It is an impressive centerpiece for any bathroom. Faucet options are also available. Balsa porcelain sink included.